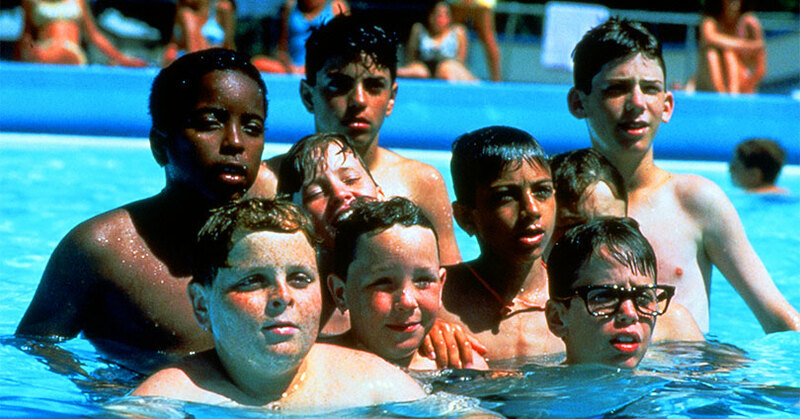 Why has The Sandlot endured? When I sat down with Jak and discussed doing a few podcast episodes with me, I wanted to talk with him about movies that I loved as a kid or as a teenager and watching them with him, to see how they have held up over time. The first one he picked was The Sandlot. I was excited about that. I knew Jak would love the film, because he loves things that are funny and he loves baseball, so it would be perfect. 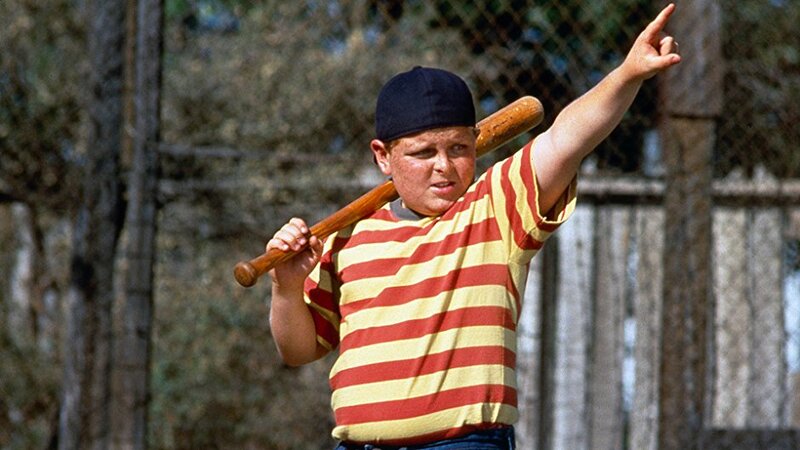 As I prepared for our first episode together, I discovered that The Sandlot was turning 25 years old this year. It was released on April 7, 1993. First of all, I could not believe it was that long ago. Secondly, I began to wonder if it would hold up when Jak and I watched it together. I was pleasantly surprised. Yes, I loved this movie as a kid, but sometimes when you go back and watch something from your childhood and compare it to today’s standards, you begin to question your taste as a kid. That wasn’t the case with The Sandlot. I realized as a I watched it that the story had problems, maybe the pacing wasn’t perfect, but I still loved it. The main reason why had everything to do with the heart of the story. It’s not just about a group of kids playing baseball, or getting into the biggest pickle of their lives. It’s about the power of friendship. Taking the risk on the new kid, or being the new kid and stepping outside of your comfort zone to make new friends. It was interesting to sit down with Jak and watch this movie. I think he could identify a little bit with the main character, Smalls. Jak is very much the kid who would rather sit in and play with his stuff than to go out and try to make a bunch of friends. 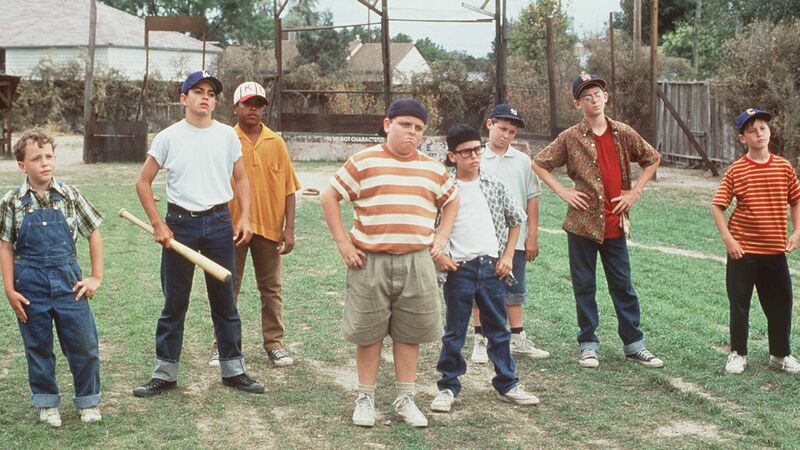 Like Smalls, though, he would like to have friends and would enjoy being a part of a group like the kids in the movie. I think most people would like to be a part of a group. When Jak and I talked about this away from the mic, he mentioned he knew how Smalls felt because he knew how hard it is to make friends. He really like Benny though, because Benny reached out to Smalls, and that made all the difference. Jak also thought the movie was hilarious. He loved the swimming pool scene with Squints, and he loved the sleepover scene where Squints tells the story of the Beast. While he identified with Smalls, I think Squints was his favorite because of the funny things he did. I can see that. For me, this film recaptures the feeling of youth, the feeling of summer, the feeling of innocence, that I remember from my adolescence. It’s hard for movies to feel that way sometimes, but this movie does. I used to be able to quote, from start to finish, so I obviously watched it quite a bit, so that might help. But, I could do the same thing with the original Ninja Turtles movie, and I wouldn’t say that it has really held up that well for me. No, The Sandlot is special. It is a movie that doesn’t get old. It is a movie that my 8-year-old enjoyed just as much watching it today, as my 11-year-old self did when I watched it the first time 25 years ago. 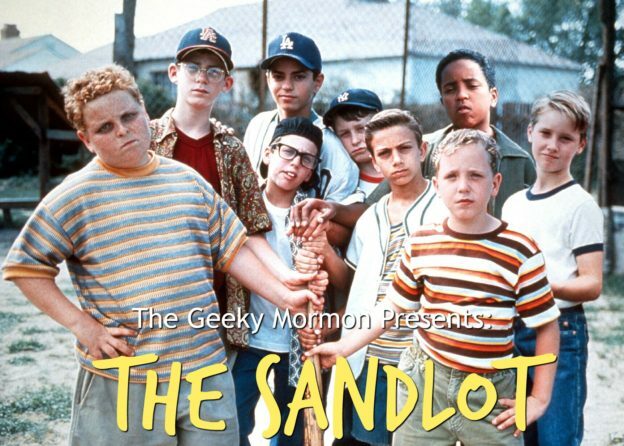 What do you think about The Sandlot? Can you believe it is already 25 years old? Let me know your thoughts in the comments on this post or join the conversation on Facebook. You can also tweet out this post or your thoughts on this film using the hashtag #thegeekymormon. You can follow me on Twitter or on Instagram @thegeekymormon, and use the hashtag above. Have a question, or feedback about this episode, or an idea for a future episode? You can email me at thegeekymormon@yahoo.com.